The world’s highest earners may not know it, but when they spend over $5,000 an hour for the privilege of using Sydney Harbour-based super yacht Tango they can thank local advanced manufacturer VEEM Ltd. for their smooth ride. Tango, which has hosted such names as Richard Branson, celebrities Katy Perry, Brad Pitt and Justin Bieber, as well as the King of Norway, the CEO of Chanel and the manager of Manchester United, Jose Mourinho, is among the first clients to receive one of ASX-listed VEEM’s game changing gyrostabilisers, designed for the large boat market. These patented stabilisers significantly reduce “roll” during sail, increasing safety, reducing seasickness and generally making the journey much smoother and more pleasant. “The super yachts, the workboats, ferries, patrol boats – from 100 tons to 3,000 tons — that market is massive and upwards of a $1billion-a-year market for us,” Managing Director Mark Miocevich says. VEEM, founded in 1968, has already had long success revolutionising the manufacture of propellers with the use of advanced manufacturing techniques to make them faster, smoother, quieter and easier to maintain and replace. 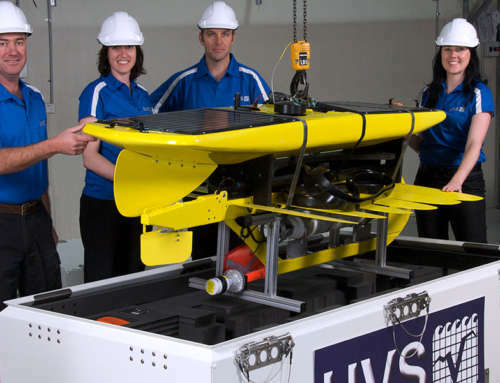 The firm earns around half its turnover from exports, and also boasts significant defence work, with the Australian Submarine Corporation awarding VEEM the first of a new generation of partnering contracts for the Collins Class Submarine in 2014. 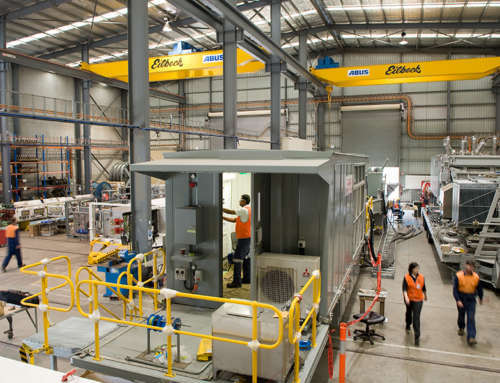 VEEM manufactures its sophisticated castings in Australia to best manage the complexity. 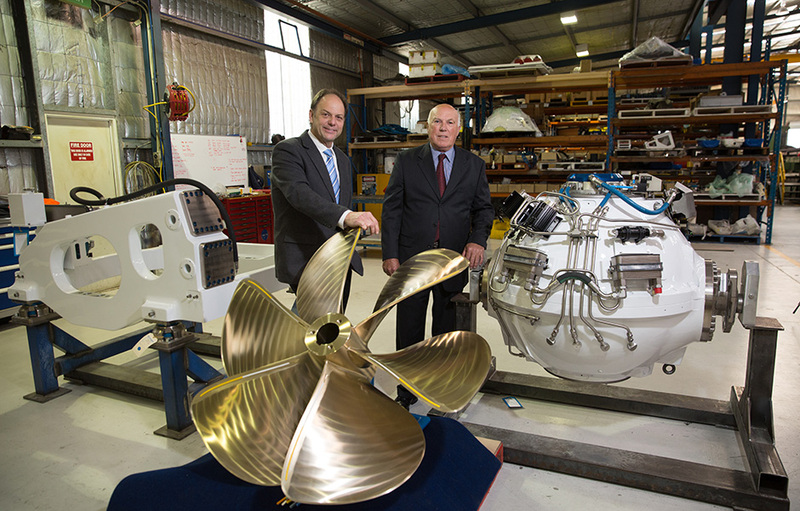 The firm, which listed on the ASX in October, uses patented, robotic processes to make casting moulds, enabling VEEM to manufacture any shape of propeller simply by selecting the program and eliminating the need for traditional wood patterns for propeller castings — a major cost saving and innovation. “We have the most advanced propeller manufacturing facilities in the world. It is absolute state-of-the-art,” Mr Miocevich says, adding that VEEM also fully machines every millimetre of the propeller surface using computer numerically controlled (CNC) machines. “We have a factory full of them and they run 24 hours a day, lights off. So they are automatically run by a laser-operated robot forklift, which loads and unloads the machines by itself,” Mr Miocevich explains. Being located in in Canning Vale, around 20 kilometres from Perth, is a benefit rather than a hindrance, he says, maintaining a lot of IP protection simply by being remote. Modern transport also means long distances are not a huge percentage of the cost of the product in the way they used to be. 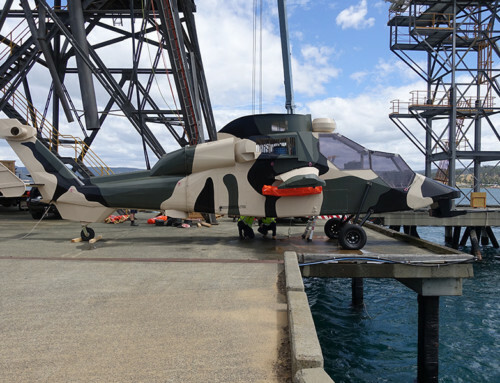 The newly-released gyrostabilisers have been sold to vessel owners in New Zealand, the US, and The Netherlands, and there is interest from defence contractors to improve the operational performance of a patrol boat for activities such as launch and recovery of vessels, accuracy of weapons and safety and comfort of crew. There is also potential around high-speed crew transfer vessels which may replace helicopters in ferrying crew from oil platforms to oil rigs. “We are seeing interest from a number of sectors and the ramifications are very large. You still have the old ‘pitch and heave,’ so front and back you get movement, and up and down with the swell, but none of this rapid side-to-side roll that boats experience,” says Mr Miocevich. VEEM looked around the world and developed a global supply chain very similar to some of the major players in the marine sector, such as Rolls-Royce Marine, modelling itself on the best and brightest in the industry. 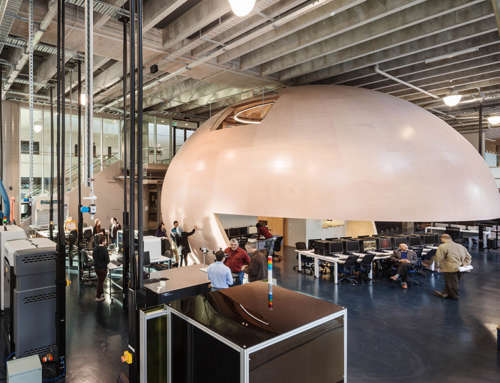 Mr Miocevich says Australians are natural innovators who punch above their weight in the list of global inventions – everything from the electric drill to the black box recorder to Cochlear – perhaps because of our historical isolation. 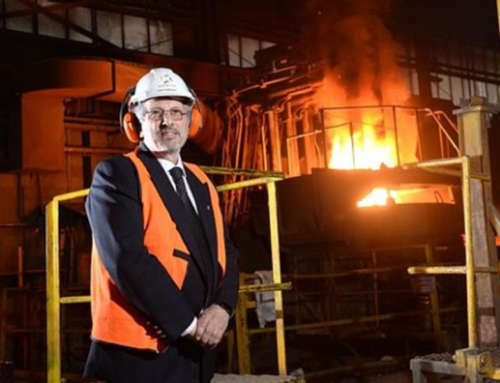 Mr Miocevich also says the government’s defence initiative was a “masterstroke” for local manufacturing, because unlike the auto industry many of the contractors are Australian-owned companies. “What we are doing now is developing a whole raft of SMEs and larger companies that are Australian companies – and that is developing a wide range of skills and businesses in this country which I think provides a much stronger future, and you can export a lot more because of it,” he says.